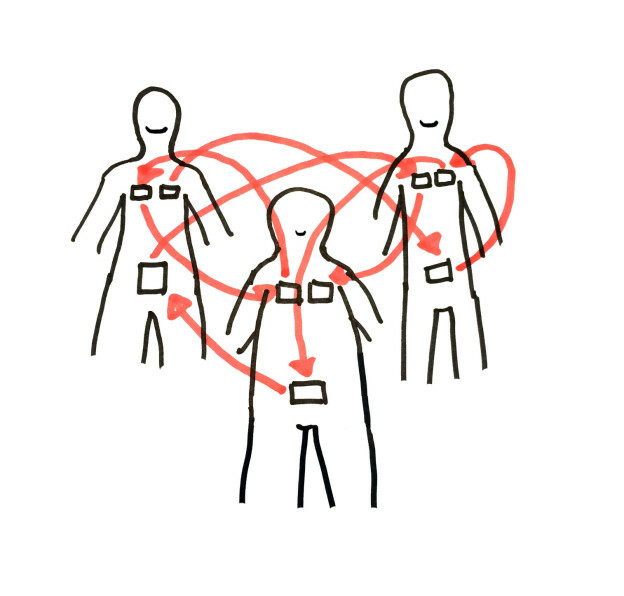 Dysforgiveness is an analog game about changing your body through physical, intimate collaboration with friends. 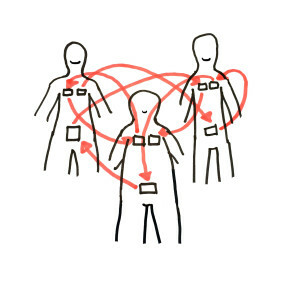 Players wear Velcro-attached cards representing various body parts, and must consensually negotiate the transfer of these cards to another player’s body, before shifting the cards by bodily embracing, pressing, or any other hands-free method of movement. Each person’s goal is to get as close to their own ideal body as possible, and to help their friends get their ideal bodies, too. 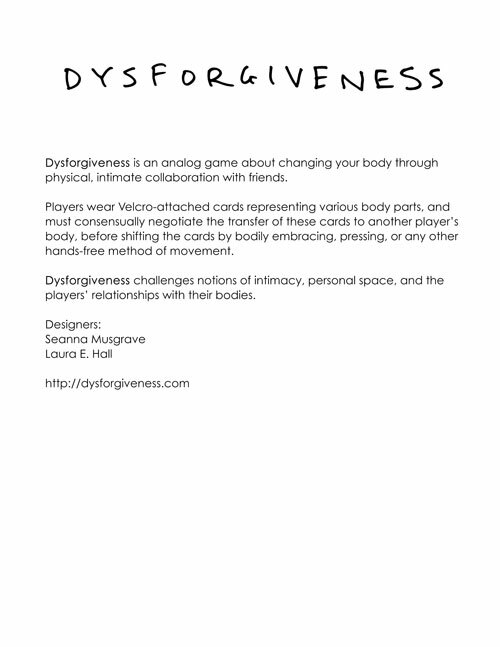 Dysforgiveness challenges notions of intimacy, personal space, and the players’ relationships with their bodies. 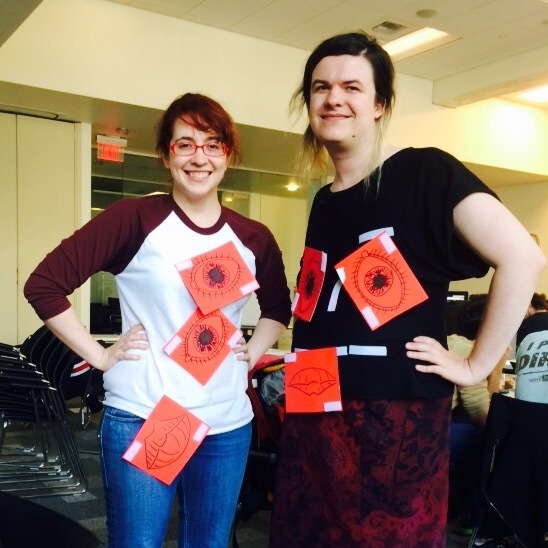 Dysforgiveness was created during Ludum Dare #32, on the theme of “an unconventional weapon”; human bodies and identities today are highly politicized and highly critiqued, and we wanted to experiment with how a game might address those concepts using one’s own body as the play space. This game was designed to push the boundaries of intimacy and touch between players inside of a context that is extremely personal but is not sexual, and includes elements of compassion and giving. Despite the intimacy of the game’s mechanics, it is not a flirtatious, smooth set of interactions, but a surreal, clumsy exploration shared between players. 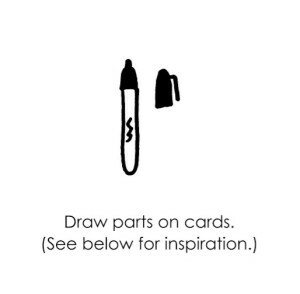 While this game was created to speak to one of the designers’ specific transgender body issues, it is designed to encourage communication about common feelings that all people have with intimacy and their own bodies.